All the cars are a reasonable representation of the full size Brisca F1 and F2 stock cars being raced on Ovals around the country. 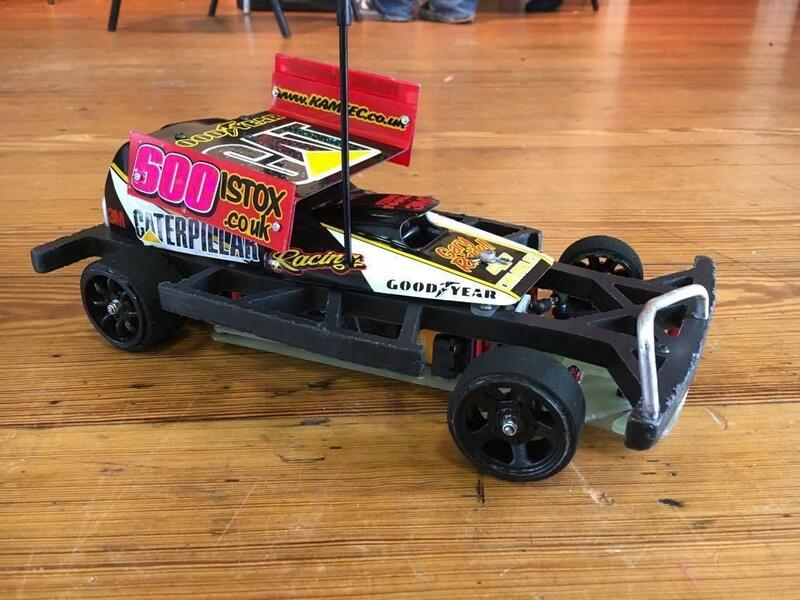 Unlike other classes,with the F1 Stockcars there is no shop ready kit available, F2 Stockcars however have kits availbale from several manufactures. If in doubt always head to your local club for advice. 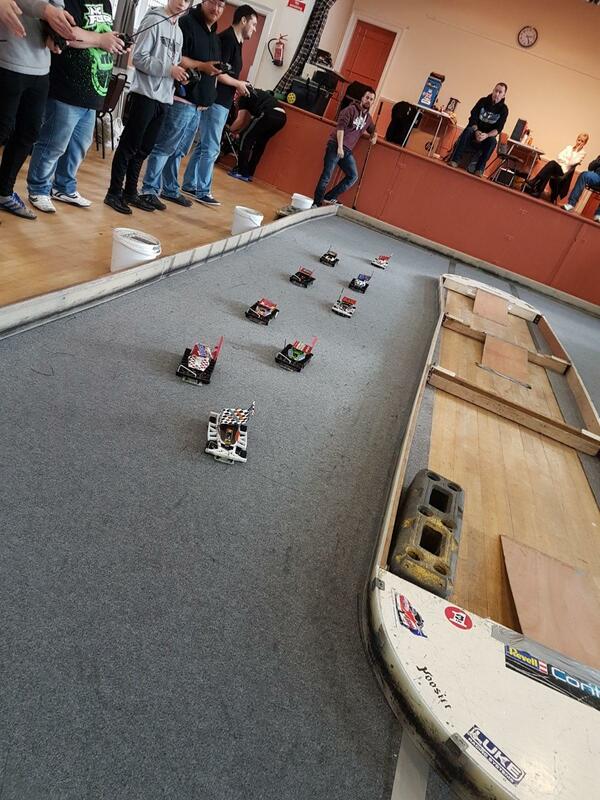 These cars are raced indoors on a carpeted Oval Track. There are a numerous Oval clubs up and down the country, most of which can be found in the back of this booklet, and/or on the BRCA web site. There is no standard size of track, some are quite small, while others are quite large in comparison, this adds to fun of adjusting your driving skill to match the track conditions, just as in full size racing. Most clubs race on an evening all year round , with heats of upto 8 cars racing for 5 minutes., with 3 or 4 rounds and a final. This is full contact racing, and it isn’t necessary to be the fastest, but be skilful in how you handle or avoid the hits that bring the success. All ages and abilities are catered for and most clubs and venues have disables access. We hold the World Championships and European Championships on alternate years. One thing that is apparent at stock car meetings, be it National or Club events, is everybody is having fun. There is a serious side to the sport, winning trophies, points and the World Championships, but the main ethos is having fun. Well the day has arrived KAMTEC F2 World Championship Finals at Burton on Trent Indoor Market Hall a very early start for everybody helping set up on the Sunday morning up at 5.30am to get to the hall for 7am all was set up for 8.30am (well done lads).